FS-UAE is fully controllable with a gamepad - you can easily swap floppies and load save states through the on-screen GUI. 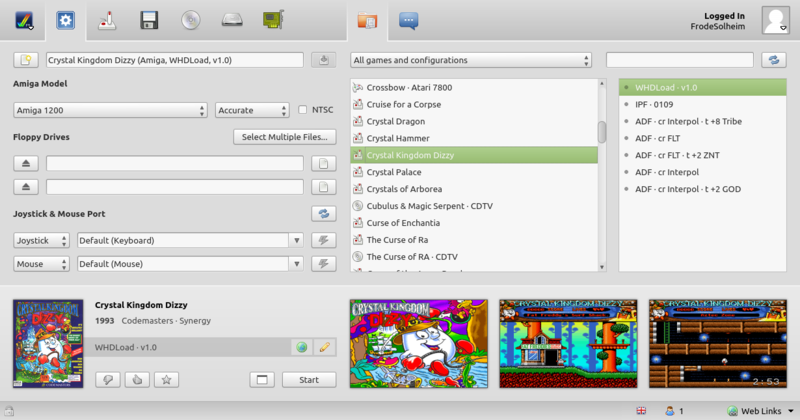 In addition to being great on your personal computer, FS-UAE is also well suited to be started from an emulator frontend running on a HTPC. FS-UAE works on Windows, Linux, Mac OS X, FreeBSD and OpenBSD. Apart from a few small differences, the feature set is the same on all platforms. The same configurations, floppy images and hard drives can be shared between multiple systems. Many joysticks and gamepads are recognized out of the box without any configuration, with correct setup both for Amiga and CD32. Support for additional models can be configured with the joystick configuration tool bundled with FS-UAE Launcher. Synchronize to your 50 Hz monitor (for PAL Amiga emulation) or 60 Hz monitor (for NTSC Amiga emulation) for perfect scrolling in games without the micro-stuttering which will otherwise occur. Available on all supported operating systems. 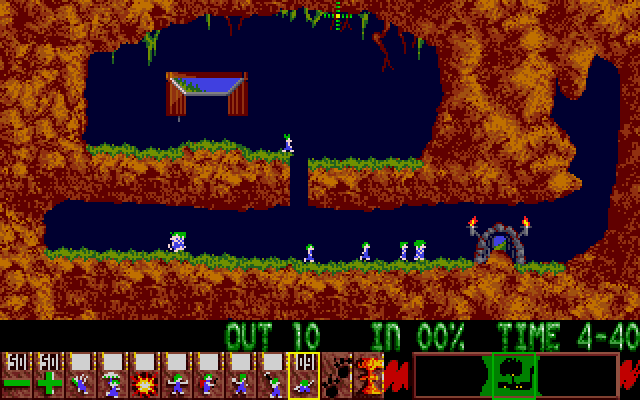 OpenGL is used for video output, with many options to tweak how the Amiga display is present. 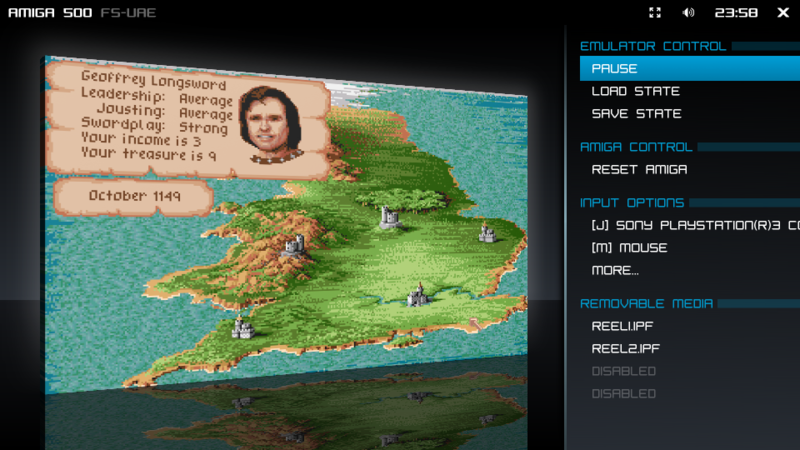 The Amiga display is streched to your screen by default, but you can enable aspect correction, zoom in or out, enable shaders for advanced effects, and use custom themes. 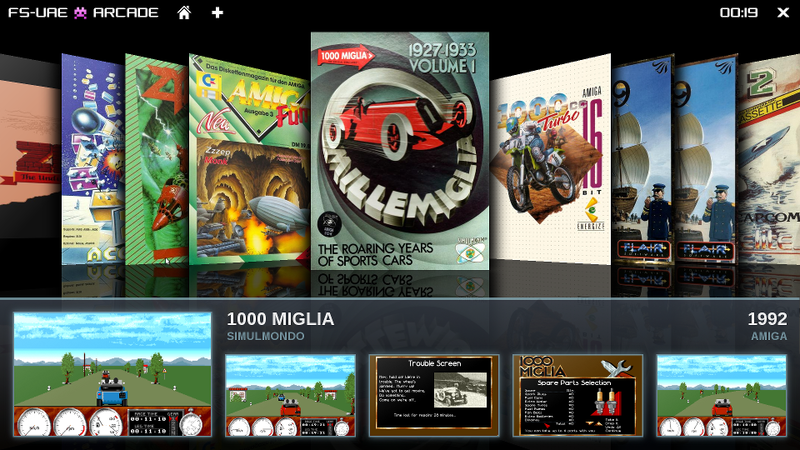 Integration with the OpenRetro Game Database allows FS-UAE to scan your Amiga game files and automatically create entries (with covers and screenshots) for recognized ADF, IPF CD, and WHDLoad games. No manual configuration is needed. If you have archived WHDLoad games in .zip or .lha, you can launch most of them by simply adding the archive as a HD. FS-UAE Launcher will recognize that it is a WHDLoad game, and automatically configure an "internal HD" to boot the game for you. FS-UAE is free software and is licensed under GPLv2 (libraries are licensed under LGPL or other open source licenses). Sources are available on the download page, and parts of the FS-UAE project (including the emulator itself) have public git repositories. There is a support forum for FS-UAE on the English Amiga Board with many active registered users. If you are stuck, you'll almost certainly get an answer to your questions there. You can also leave comments on fs-uae.net is you rather want that. Emulation of the CyberStorm PPC (and Blizzard PPC) means that you can run AmigaOS 4.1 on FS-UAE!